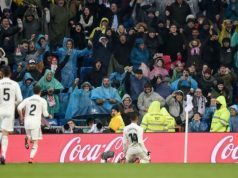 Real Madrid trashed Celta Vigo at the Santiago Bernabeu lead by Cristiano Ronaldo, who put in a superb perfomance scoring a four-goal haul. Pepe opened the score for the home side in the first half and Ronaldo sealed the victory with three great goals in the second half. Iago Aspas scored for the away side. 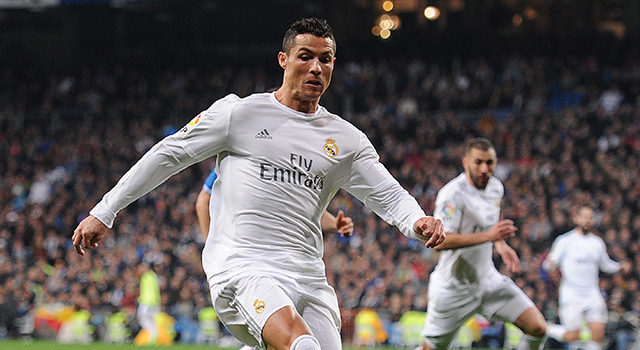 The visitors played with great intensity in the first minutes and threatened Real. 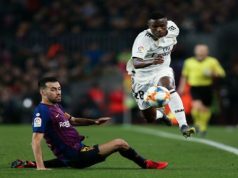 They were close to taking the lead after 15 minutes as Aspas met a cross from the right, but his header smashed off the post and Keylor Navas saved from the rebound. 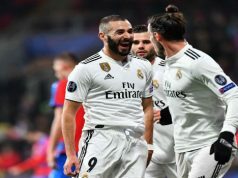 Los Blancos reacted after 30 minutes and Ruben Blanco denied Ronaldo and Isco from close range to save his team. However, Real ended up taking the lead before the break as Pepe brilliantly headed an Isco corner past the Celta keeper. Right at the start of the second half, Ronaldo made it 0-2 as he hammered a powerful effort past Blanco from distance. Eight minutes later, the Portuguese sent a free-kick over the top of Celta’s wall and into the far corner with aplomb. Aspas shorten the hosts’ lead as he raced through on goal before lifting his effort over the onrushing goalkeeper with a superb finish. However, Ronaldo was on fire and he scored two more to seal his team’s victory. First, he slided home at the far post after receiving a pass from Isco. Ten minutes later the Portuguese headed a Jese corner into the back of the net. Jese made it 6-1 as he drove into the Celta box and finished into the bottom corner. Gareth Bale, who made his return after seven weeks on the sidelines, scored the last one with a shot into the bottom corner.